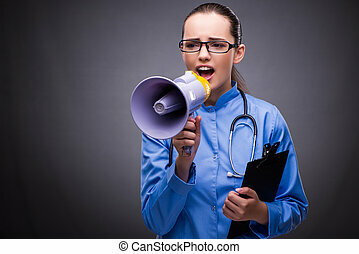 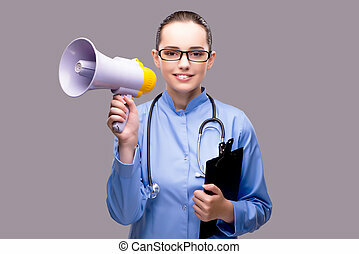 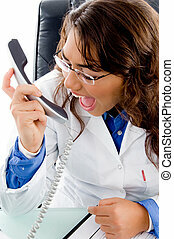 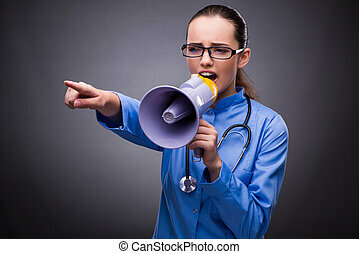 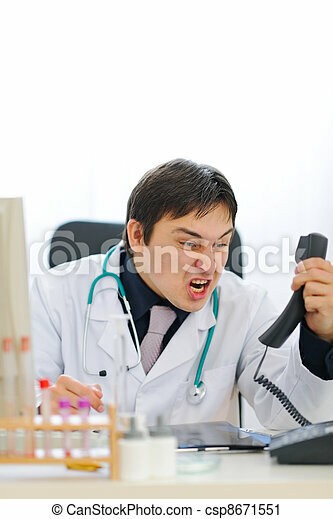 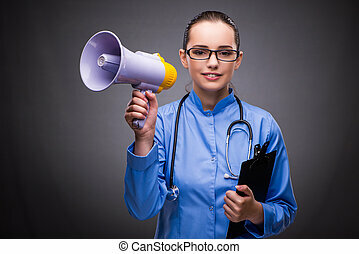 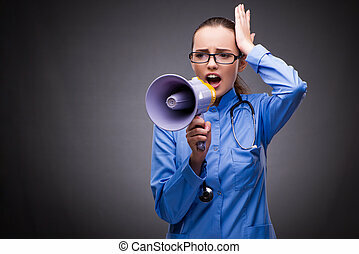 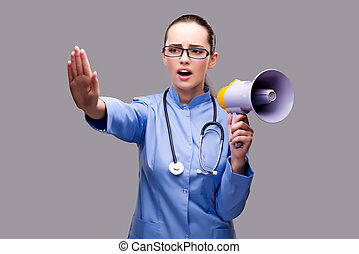 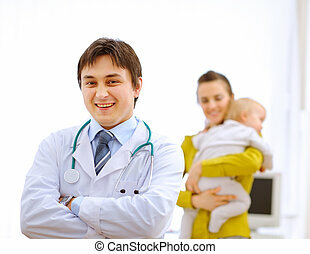 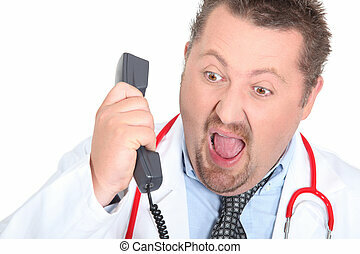 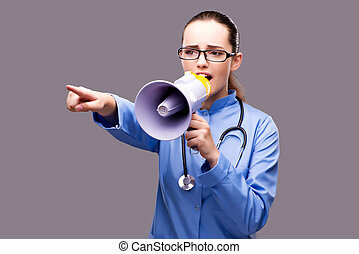 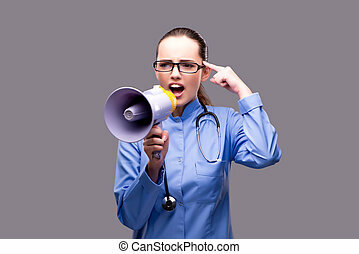 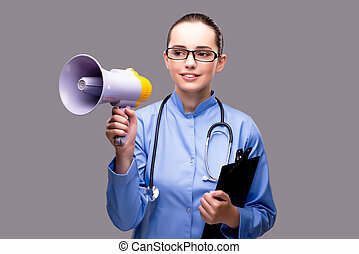 Angry medical doctor shouting in phone handset. 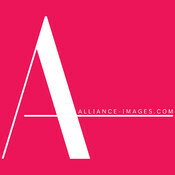 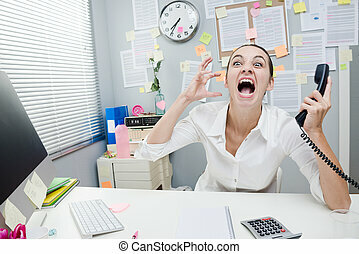 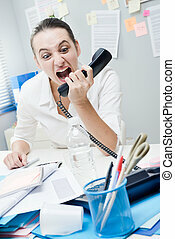 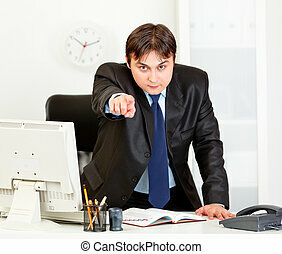 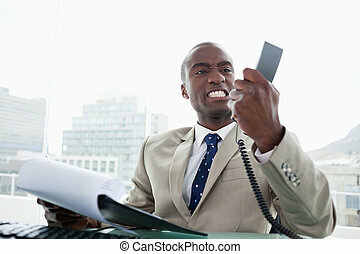 Angry stressed businesswoman in office shouting at phone. 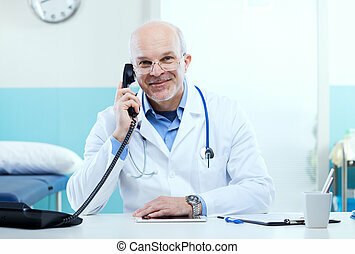 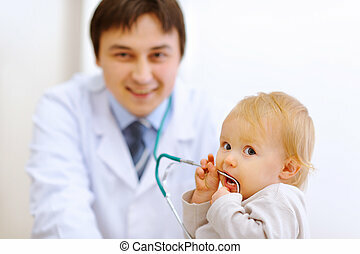 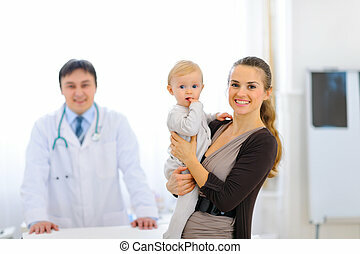 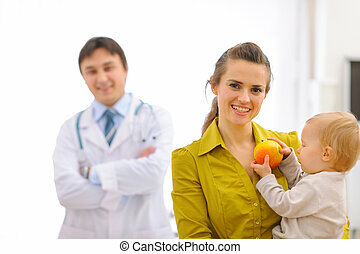 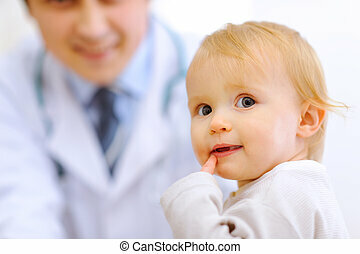 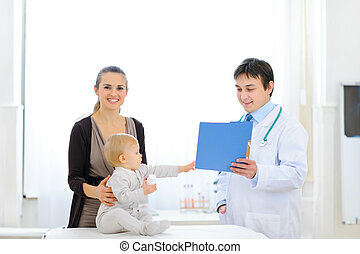 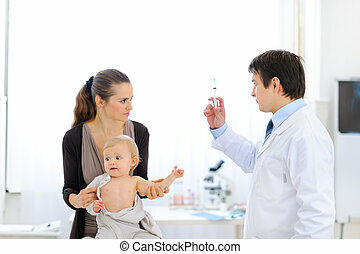 Doctor talking on the phone with medical equipment in the background.